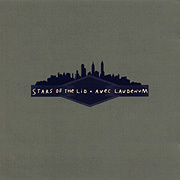 Using many of the tenets popularized by Brian Eno, Austin based Star's of the Lid creates music that is highly personal in nature and entirely Ambient in character. The latest release by the duo of Adam Wiltzie and Brian McBride is entitled Avec Laudenum (Subrosa). Alegedley guitarists, SotL uses the studio as an instrument, manipulating and transforming various unrecognizable sound sources into a multi-layered, slowly evolving sound stream. Avec Laudenum can be enjoyed in many ways: as a deliberate linear journey with few abrupt changes, as an Ambient background experience on the periphery of perception or as a nearly static sonic atmosphere, filling an environment with sound as fluid occupies a vessel or smoke fills a room. 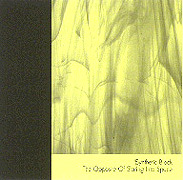 Certainly the warmest and possibly the most minimal of the five SotL releases, Avec Laudenum will appeal to fans of albums like Discrete Music or Thought Tones and withstands the test of repeated listenings. Too melodic to qualify as Ambient, too textural for Jazz, too familiar for the Avant-Garde, too contemporary to be considered Classical, too solemn for New Age and too deliberate to be wholely spacemusic, From The Dark Earth by Meg Bowles easily exceeds the sum of its influences. Present are Bowle's rich synthesizer tones which slowly shift from hues of blue to gray as are sparse percussion samples that provide a sense of motion across darkened lands. But what brings this album into focus is the use of the trumpet soloist, an idea never fully investigated on an album of EM until now. 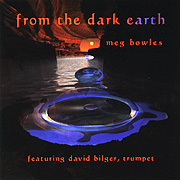 On every track, trumpeter David Bilger's playing is suported by and comingled with Bowles' earthy synth textures and evokes emotions somewhere between Copeland's "Dark City" and Isham's "Romeo Is Bleeding". The nine tracks on From The Dark Earth play out almost like the chapters of an old diary, each composition building on the one prior, until, at close, the listener achieves a sense of knowing the author and an understanding of their experience. Jeff Pearce's contribution on Vidna Obmana's 1997 release Crossing The Trail, begs for a more expansive project between the two. True Stories is this project. 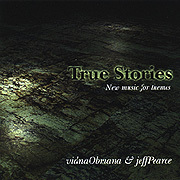 Made up of 12 brief tracks, True Stories features a variety of Jeff Pearce guitar stylings, processed then underpinned by Vidna Obmana's subtle synth textures. It is often difficult to discern who is responsible for what sound as both artists often take their respective instruments some distance beyond convention. Pearce uses his guitar merely as a source, processed to create everything from dense, swelling soundscapes to beatific, harp-like plucks, while Vidna Obmana's synths bring into existence a blanket of chords very complex in harmonic content. These technical aspects of True Stories will be lost on most. This album of gentle, introspective and relaxing music will no doubt engage and becalm the listener through its variety of moods and emotions. 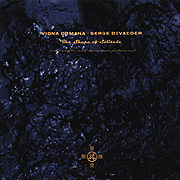 A collaboration with yet another guitarist, The Shape of Solitude takes Vidna Obmana's music nearer the realm of the Avant-Garde. This collaboration with guitarist Serge Devadder demonstrates Vidna Obmana's willingness to lead the audience, not persue them; fans of his gentle soundscapes or tribal grooves will find themselves challenged by this CD. The source for all the pieces was the guitar. Devadder's already contorted riffs were bent even further by Vidna Obmana's studio wizardry. Even the pacing of the album is somewhat difficult: a piece of dissonant outside music - followed by something warm and mysterious - into a harsh studio mutilation of yet another twisted guitar loop... The music is questioning and plaintive, completed only by a listener's comprehension. Fortunately, the music is as interesting as the process by which it was realized. At moments edgey and inpenetrable, at others deep and serene, The Shape of Solitude is a successful experiment in the use of timbres and sounds to portray moods and feelings avoided by most musicians. Much of the Electronic Spacemusic genre developed (and to this day thrives) in Europe. Inspired by this movement, synthesists here in the USA have been making significant world class contributions to the community for many years. 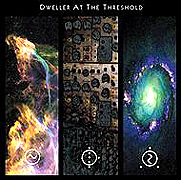 Dweller At the Threshold is one of several such groups spread thinly throughout North America. 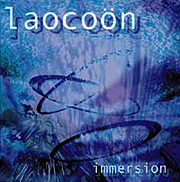 Using elements of the "Berlin School" as a point of departure, DAT has produced a second CD of original electronic excursions. To say that Generation Transmission Illumination simply offers melodies over sequencer patterns would not do justice to their new release. DAT has carefully examined The Genre and produced music familiar yet undoubtedly their own. With a keen ear for interesting rhythms, compelling harmonies & melodies plus deep-space textures, DAT consistantly delivers noteworthy and identifiable releases. While it is somewhat easier for most to enjoy the more rhythmic spacemusic presented on STAR'S END, soundworld artists like Laocoon (la-kwan) are just as interesting, but in a different way. On Immersion, the Laocoon debut, only timbre is utilized to make a musical statement. This music, devoid of melody or beat, asks the listener how they feel rather than what they think. Transportive, deep, dark, damp ambience; ethereal yet organic soundworlds; Immersion is brilliant in its simplicity, compelling in its depth and best experienced during "the dead of night". 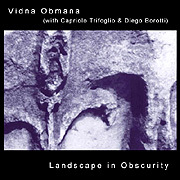 His first release on the Hypnos label, Vidna Obmana's Landscape in Obscurity is an impressionistic study of isolation, memory and lament. Somber saxophone leads and floating flute lines (by Italy's Caprio Trifoglio and Diego Borotti) mix with clouds of floating electronic ambience to evoke a feeling of isolation a cold city gives off in the dead of night. 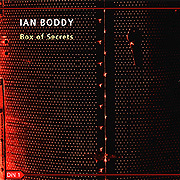 Box of Secrets crosses Boddy's well known tight instrumental arrangements with his more recent venture into the modern ambient (ala Continuum). Often rhythmic and never redundant, this effort is a contemplative response to the often mundane current crop of ambient techno releases. 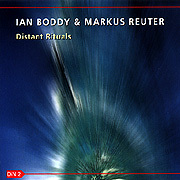 Distant Rituals finds Boddy in collaboration with Warr guitar player Markus Reuter. On this maiden voyage the two navigate smooth, textural soundscapes, with one idea morphing effortlessly into another. Guitar sounds intermingle with synth textures as easily as do the musical concepts held by these two artists. 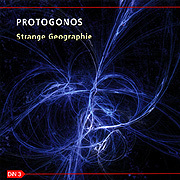 Strange Geographie is comprised of three lengthy tracks by the duo Protogonos (Stefan Bojczuk and Matt Shaw). The focus of the music is on timbre and mood rather than shape or form. With the terrain covered here so unearthly and changing so slowly, travellers in this realm easily lose their way. Inner Landscapes is broken down into eight parts but it is difficult to distinguish where one ends and another begins. 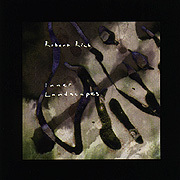 Excerpted from one of Robert's epic three hour performances, Inner Landscapes is a CD length representation of his live music circa 1985. 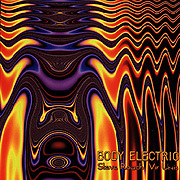 Much in the vein of Rich's trance and drone all-night sleep concerts, this CD captures the completely improvised, thick atmosphere of the event. Mike Griffin and David Tollefson each have credible solo careers yet first came to our attention as the duo Viridian Sun. The word perihelion means the point of an orbit closest to the sun. 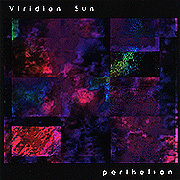 Perihelion, the new Viridian Sun CD, transports the listener to the center of some unexplored system to witness this moody soundworld making its closest approach. Down Time is the third and latest release by Redshift and finds the group endeavoring into the dark corner of spacemusic. Percolating sequencer patterns created on the Moog Modular underneath the brittle wash of classic Mellotron samples is at the foundation of Redshift's music. On Down Time it is the contrast of gentle melodies, alien soundscapes and driving pulse rhythms that gives the CD its enigmatic character. 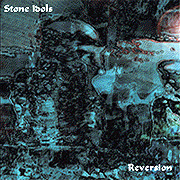 Reversion is the debut CD from Stone Idols. Recently founded by Redshift guitarist Rob Jenkins, the music of Stone Idols treads the ground between the ethno/ambient work of Peter Gabriel and Brian Eno and the drifting soundscape worlds of Radio Massacre International and David Torn. Indeed a broad description, but Reversion is a multi-faceted work and difficult to categorize. Sparsely punctuated by percussive rhythms, the CD flows easily between themes and moods and accurately captures the moment out of which each piece was realized. 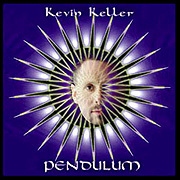 Easily viewed as one continuous piece, Pendulum is a well thought-out smooth sonic journey. Kevin Keller's well-crafted synth timbres are predominant throughout the CD, but they share the space nicely with David Darling's reverberant cello, Jeff Pearce's guitar loops and Bruna Lamy's infinite whispers. The overall mood of the album is that of vastness, with Keller's well-placed, ever evolving rhythms transporting the listener through it. Playing almost exclusively at planetariums, Spacecraft uses the live experience as a method of developing their music. Drawing on the mood of the audience, the vibe of the performance space and their own state of being as artists in collaboration, Spacecraft feels their way through live sets of improvised electronic sound. With the right combination, moments of brilliance are experienced as the music is revealed to both audience and artist. 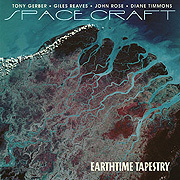 Earthtime Tapestry is the third CD by Spacecraft and continues their evolution as live performers. Joined on this CD by fellow synthestist Giles Reaves, Spacecraft refine their approach to spacemusic, raising a notch the level of The Berlin School where this mode of expression was founded. "My attention has always been caught by hypnotic, trance-giving rhythmic patterns." 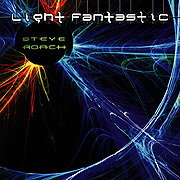 Reading this quote from Steve Roach will give us some insight into his new release Light Fantastic. On the latest CD Roach draws upon a number of his influences to produce new music with rhythmic qualities somewhere between the works of Steve Reich and Atom Heart. Having less to do with these two artists than the levels between their repective seminal works, the grooves on Light Fantastic are well crafted, multi-layered, harmonically complex patterns that only hint at their ethno-origins. 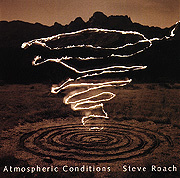 Roach's intricate and accessible rhythms draw the listener into the center of the energy pieces; while the slow shifts of his breathing pieces find their way (on a cerebral level) into the listener. Possessing both the acceleration of Body Electric and the unfolding mystery of Slow Heat, Light Fantastic delivers a fascinating listening experience. 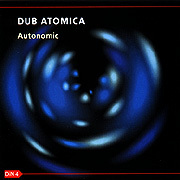 Dub Atomica is a collaboration between UK synth scene stalwart Ian Boddy and breakbeatmaster Nigel Mullaney. The new CD Autonomic takes the listener along on their journey into rhythm and timbre. Autonomic generates enough energy to keep the lower functions of the brain occupied while skillfully synthesized sounds conjure an atmosphere appealing to the cerebral. Impossible to describe using comparisons, Autonomic passes through so many categories of contemporary electronica it may warrant its own. 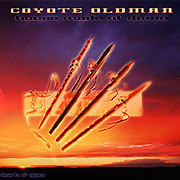 Among STAR'S END listeners, the name Coyote Oldman is often thought to be an individual musician. It is actually the duo Barry Stramp and Michael Graham Allen. The latest in their long line of CDs is entitled: House Made Of Dawn, a moving mixture of traditional native flute, custom hybrids and modern technology. For an album whose basic sources are instruments steeped in the tradition of ancient cultures, a surprisingly wide range of emotions and textures are explored. While one track consists of a simple flute melody seemingly recorded at the bottom of a lost canyon in one take, another has the feel of an eerie soundworld layered, processed and manipulated for weeks in a modern recording studio. 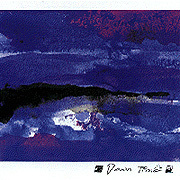 House Made Of Dawn is a successful synergy of ancient ways and future days. The music reveals to the listener a new heritage. 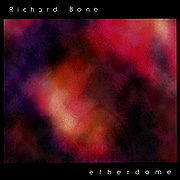 On the Ether Dome CD Richard Bone presents us with 11 tracks meant to nourish and calm the listener. 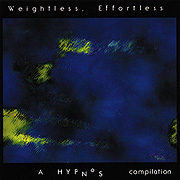 Without a doubt the most uplifting of all the Hypnos label releases, Etherdome is at once beautific, elegant and simple yet thankfully absent of the typical new age grandeur and posturing. The knowledgable listener will no doubt notice the influences of EM greats Hans-Joachim Roedelius, Brian Eno and Cluster as well as Bone's skill in producing an album of character, sensitivity and charm. Described as "a darker Tangerine Dream", the German based Arcane at last has their music available on CD. 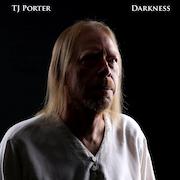 Gather Darkness (Neu Harmony) evokes a mood of mystery and a state of anticipation, much like the Fritz Lieber novel of the same name. This release has the open feel of improvisation, with the pace of an accomplished storyteller. Pledged to use only technology from the 1970's, Arcane's music offers a glimpse into some personal loss and provides a sense of a revived era: cross-modulated synth bells fade to Mellotron choir, a minor-key melody gentley introduces a 16 step sequence pattern, layers of rhythms and effects synchronize and fill out with the focus of a lead synth line. But Gather Darkness is less about vintage analogue gear than the emotion and atmosphere skilled musicians create using it. 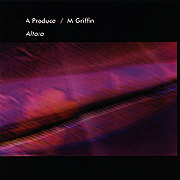 Altara is the result of a collaboration between Mike Griffin and A Produce. Each artist is known for their individual style and accomplishments in the genre of Ambient music. On this new CD, it is difficult to distinguish elements of each's solo work other than the true Ambient nature of the music. Altara is a minimal, slowly evolving affair and deals with the effect of sound on the listener, filling space with sound and the points in time when the sound is perceived. The duo manipualte interesting timbres into drones that, when exposed to over time, one loses the sense of this dimension. The pieces vary in length but with no real beginning, middle or end the listener will consult the sleeve notes to be sure of the duration of each track. In the same way we contemplate the fullness of an empty vase, Altara occupies the listening environment. In recent time, combining modern electronic synthesizers with traditional native instruments has been irresistible to many contemporary artists. Whether using a programable electronic keyboard to emulate the timbre of a mallet instrument or altering the sound of a flute through sonic manipulation, the atmosphere of far-flung, exotic, non-western cultures and places is conveyed to the listener on many of today's electronic and new age releases. 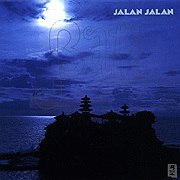 An excellent example of this style is the CD Bali by Jalan Jalan. The ensemble's approach to their ethno-electronic sound includes the beautiful sound of the traditional instruments of Bali, coexisting harmoniously with synth pads and melodies. The listening experience is made even more engaging by the environmental recordings placed subtly beneath age old ethnic melodies. Bali is a release not meant to challenge, nor to transport; it does however bring to the listener a tiny glimpse of the rice paddies, terraced fields and misty mountains of beautiful Bali. Ngaio Gamelan began as an experiment. Parsons extracted phrases from his many volumes of native recordings and through studio manipulation and his own sense of composition, put together an album of virtual collaborations. 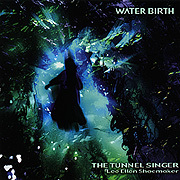 This CD is a true hybrid, following no one musical tradition. 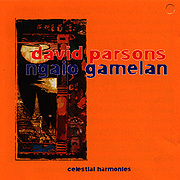 Most of the six tracks are driven by Parsons playing rhythms with timbres found in music from Indonesia. This base is augmented by a mixture of sounds and moods from Parsons' impressive library. The experiment works; this synthesis of percussion, harmonies and melodies from many eastern lands is compelling. 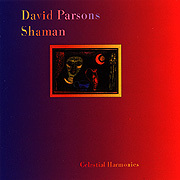 Shaman provides music and titles "evoking images of ancient and non-Western cultures". Conceptually, the album seeks to transport the listener into the mystical past of early civilization. Parsons accomplishes this by using some of today's most sophisticated music gear. Here his synth programming abilities are evident as Parsons creates sounds alien to the acoustic world. Repetetive patterns, reminiscent of '70s Berlin School, influenced by Eastern sensibilities are at the core of this release. Most of the six tracks build from a feeling of anticipation and continue on to sweep us away in a rapid swirl of synth rhythm patterns. The philosophy behind Shaman may be from the dawn of time, but the sounds are that of the 21st century.